Establishing a regular sleep schedule can be tough, and it’s especially hard during times of transition. If you’re starting a new job with different hours, for example, or when it’s time to send the kids back to school after a summer filled with late nights and sleeping in. It’s worth it, though. Maintaining a solid routine is a crucial step towards ensuring that both you and your kids are getting the quality Zzzs you both need. When you get the right amount of sleep—about eight hours for adults and nine to 12 hours hours for kids—you reap benefits like increased productivity and better brain health. “We do more, we work better, and we’re better parents when we’re well-rested,” says clinical sleep educator Terry Cralle, RN. 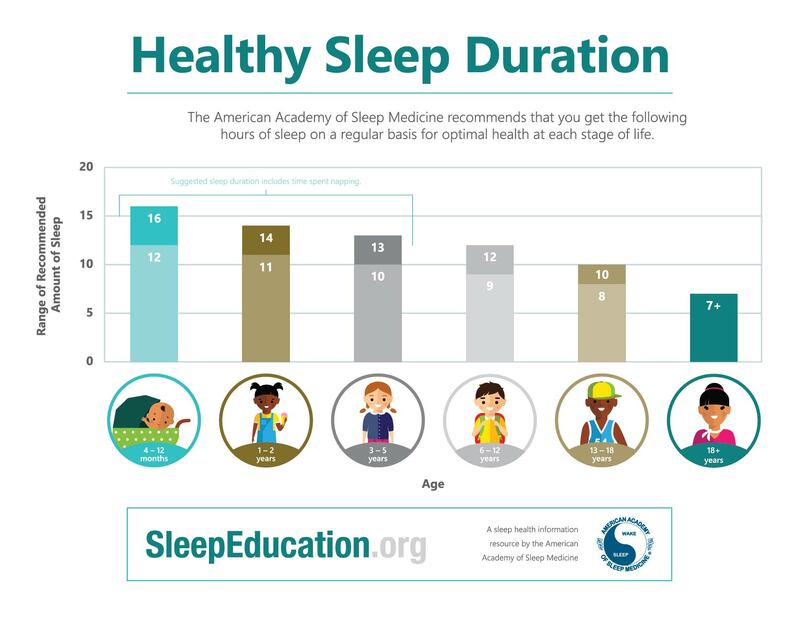 “Children learn better at school, and they behave better in the classroom.” Plus, once you have a sleep schedule down pat, bedtime and morning routines will feel like a breeze (or at least get a little bit easier). Cralle explains how to get there, below. Natural light is a pretty powerful tool when it comes to adjusting to a new sleep schedule. “If you get a lot of light in the morning, it wakes you up, it resets your body’s clock, and you’re more likely to go to bed at a decent hour the following night,” Cralle says. Open up the blinds right when you wake up to let the sun in. If you don’t have windows in your room, Cralle suggests looking into a wake-up light alarm clock––which gradually wakes you up with light, instead of a blaring alarm. Sometimes, when you’re getting back into the routine of an early wake-up time, having that standard alarm is totally necessary. Cralle suggests avoiding harsh alarm sounds for a more pleasant wake-up, though. Maybe a yoga wake-up (or at least a soothing song!)? More importantly: You’re not doing yourself any favors by hitting the snooze button––no matter how much it feels like you need those extra ten minutes. Any additional sleep after your first alarm will likely be low-quality. To avoid the temptation, Cralle suggests placing your phone or alarm clock on the opposite side of the room, so you’re forced to get up to turn it off. (Then the chances of you crawling back in bed are significantly lower.) If you’re someone who really needs those few extra minutes, set your alarm for the latest possible time. While a cup (or two) of coffee in the morning can help you feel more alert during the day, as you acclimate to an earlier wake-up time, Cralle says your caffeine consumption should stop around lunchtime. Otherwise, you risk not being able to fall asleep that night. The same goes for a nightly glass of wine or cocktail. “If you have a glass of wine with dinner, make sure there’s a three-hour time frame between [then and when you go to sleep],” Cralle says. While alcohol might make you feel more drowsy and make it easier to fall asleep, it can take a toll on the quality of sleep you get throughout the night (which makes it harder to get up in the a.m.). If your kids spent most of the summer sleeping in and staying up late, getting them back into the school routine can be a struggle. That’s why Cralle recommends easing them into the new sleep schedule time. Starting two weeks in advance, move their wake-up time and bedtime earlier, in 15-minute increments. By the time you get to the first day, it won’t feel like such a stretch. Creating a morning routine in which kids have something they’re excited to wake up and do before school can help eliminate the need to drag them out of bed every morning. Sure, we hope that they’ll get excited over a super-healthy breakfast, but here’s a surprising thought: the best compromise might be giving them some a.m. screen time. “At night, it can be a negotiable thing––’If you go to bed on time and get a great night’s sleep you get to play a video game or watch a show in the morning,’” Cralle says. “And [the morning] is actually the ideal time for that light exposure.” While they enjoy those 20 minutes, you can finish packing lunches or getting ready for work. There’s a reason why Cralle would rather kids get in their screen time in the morning instead of at night. Light, especially the kind emitted from your phone, TV, or computer can seriously mess with quality of sleep. And this one’s not just for the kiddos. Cralle recommends a “media curfew” for the whole family, where all electronic devices are powered off at least one hour before bedtime. It’ll help everyone get to sleep on time and get the best night’s sleep possible.